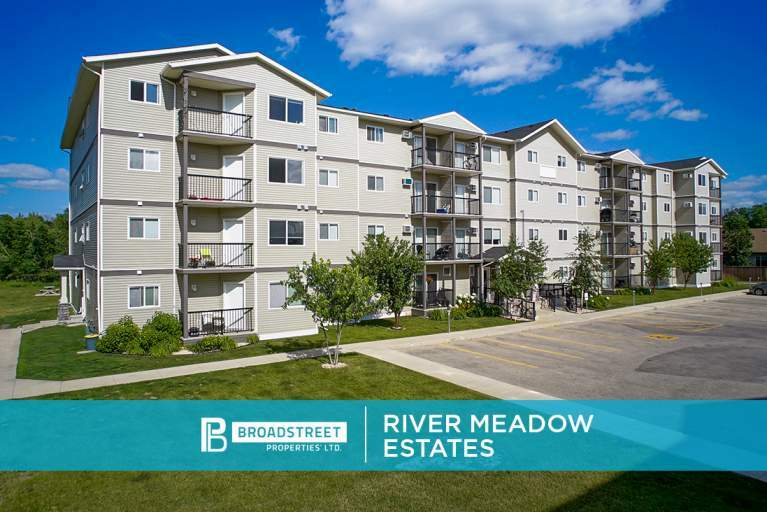 Broadstreet's River Meadow Estates offers 1 and 2 bedroom pet friendly apartments in peaceful St. Vital in south central Winnipeg. This modern apartment community offers easy access to public transportation, major commuter routes, and is only a short distance from the University of Manitoba. It's located just off the Perimeter Highway, and minutes away from the St. Vital Shopping Center and St. Vital Park. At this fantastic location, you can experience the convenience of having a flexible lease, 24/7 client care, and on-site maintenance. We've thought of everything to ensure you're comfortable in your new home. With the Seine River and 2.5 acres of forested parkland hiking trails behind the property, River Meadow Estates is perfect for the outdoor enthusiast who seeks a quiet rural setting.